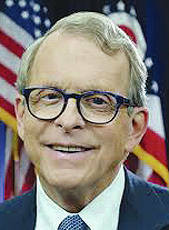 The state of Ohio launched a website earlier this year with information about foster care and adoption to assist those who wish to take in children removed from their biological parents. 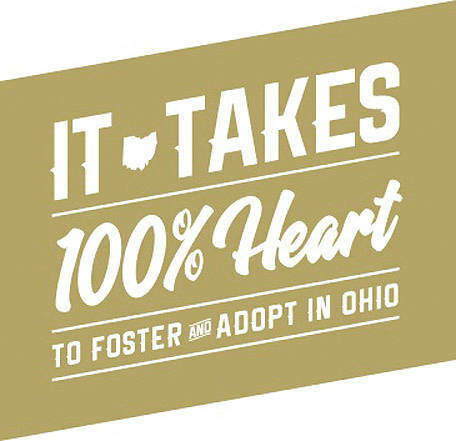 The website is available at https://bit.ly/2X0Nylo or www.fosterandadopt.jfs.ohio.gov and according to the Ohio Department of Job and Family Services has resulted in inquiries from prospective foster and adoptive parents. Ohio has nearly 16,000 children in the custody of county children services agencies and a continuing need for more families to care for them. According to Wright, Champaign County DJFS handled placement services for 38 children in 2018, 21 of whom are in the custody of the agency and placed in foster care. The majority of these foster homes are not within the county due to a lack of available homes that can meet their needs. The new website provides information about both adoption and foster care, their similarities and differences, and about the requirements for getting involved. Wright said foster agencies can work with families to overcome barriers to foster or adopt children. She said the most important quality is having a complete commitment to caring. Stacy Cox, director of Champaign County Department of Job and Family Services, said that in addition to the website there is a Facebook page for the Ohio Department of Job and Family Services that has been helpful in recruiting interested foster parents. Wright said that both methods of communication have taken an important step in the right direction. “We’re hopeful it will bring interest to more families here in Champaign County and that they could start getting in behind the scenes, realizing the guidelines for becoming foster parents and hopefully reach out to us, because we are in desperate need of more foster parents in Champaign County,” said Cox. Wright said that the goal of the foster parent system is to return children to their birth parents, and that foster parents sometimes work directly with birth parents to teach them skills, offer encouragement, and share information about the children. Most children return to their birth parents or another relative or family friend within a year, once a court determines it is safe for the child to return home, she said. According to Cox, over 50% of foster care cases have been due to drug abuse in the home, and it is one of the biggest contributors to children being in permanent custody of the agency. Even in cases of drug abuse, the agency continues to do all it can to work with the parents before terminating parental rights, she said. The approval process is somewhat different for adoptive and foster parents, with different requirements for each. The Champaign County DJFS has not directly licensed foster homes since 2013, but has a list of agency contacts for interested parents. For more information about becoming a foster or adoptive parent, visit the state website at https://bit.ly/2X0Nylo or www.fosterandadopt.jfs.ohio.gov or call Champaign County DJFS at 937-484-1500.